To complete the installation, you’ll need the Installation Key Code from your CD envelope. 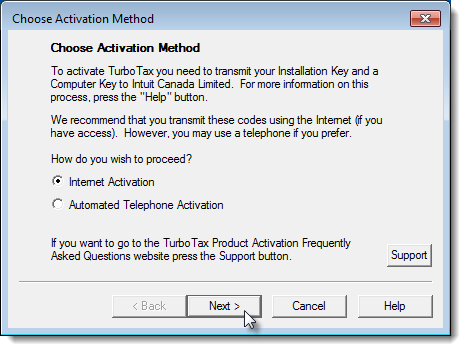 Follow the instructions below to install TurboTax on your computer using the CD. You might find it helpful to print out this page so that you can easily follow the step-by-step process while installing TurboTax. 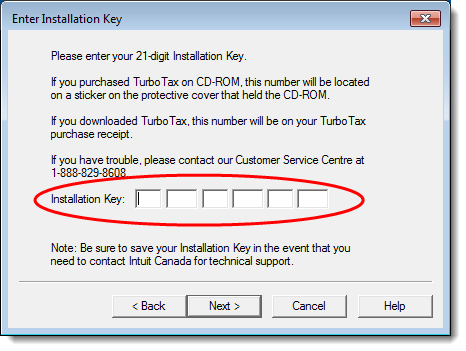 Keep your TurboTax installation key handy. Log on to Windows using an account with administrator priviledges, that is, do NOT use guest accounts or standard user accounts. (How to determine user account type in Windows). To avoid problems with activating TurboTax, temporarily disable all antivirus, firewall, and antispyware software. Insert the TurboTax CD into your computer's DVD/CD drive. If the AutoPlay window appears, choose Run setup.exe. If a window appears that lists the contents of the CD, double-click the setup (.exe) file. Note that the file name starts with a small "s". On your keyboard, hold down the Windows logo key , and then press E (or, click the Start button on the Windows taskbar, and then click Computer). 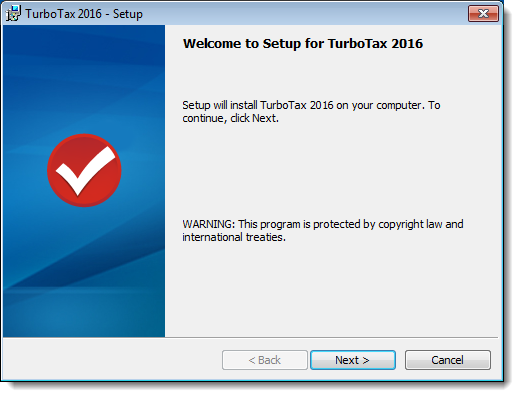 In the window that appears, double-click the DVD/CD drive containing TurboTax/IR-2016. Unless a window is already open that lists the contents of the TurboTax CD, right-click the DVD/CD drive, and then click Open. Double-click the setup (.exe) file. Note that the file name starts with a small "s". If you are not asked to enter any password, click Yes. 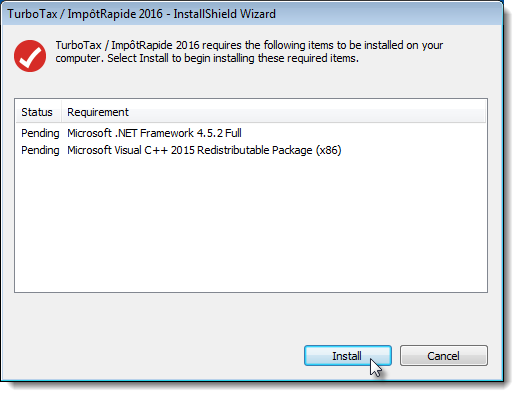 The TurboTax/ImpotRapide 2016 - InstallShield Wizard page appears. Note the name of the user account above the password field, and then click No. Log off from Windows, log back in using the account you noted above (or as any user who is an administrator), and then start over from Step 1. On the TurboTax/ImpotRapide 2016 - InstallShield Wizard page, in the drop-down list, choose the language in which you want to install TurboTax, and then click OK. If a page appears with the message that Microsoft .NET Framework 4.5.2 Full and/or Microsoft Visual C++ 2015 Redistributable Package is required, click Install. Otherwise, skip this step and go to the next step (Step 8). On the Welcome to Setup for TurboTax 2016 page, click Next. 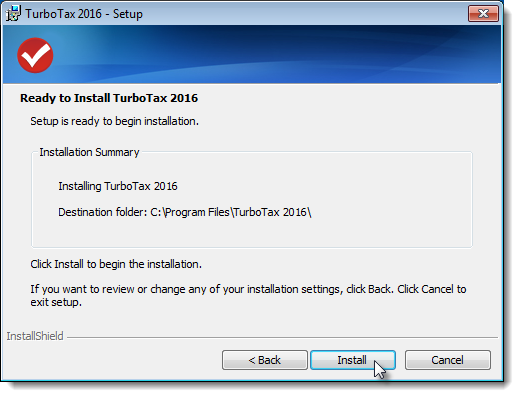 On the Ready to Install TurboTax 2016 page, click Install. After a short time, the Setup Completed page appears. On the Setup Completed page, click Finish. The Enter Installation Key page appears. On the Enter Installation key page, enter your installation key, and then click Next. The Choose Activation Method page appears. 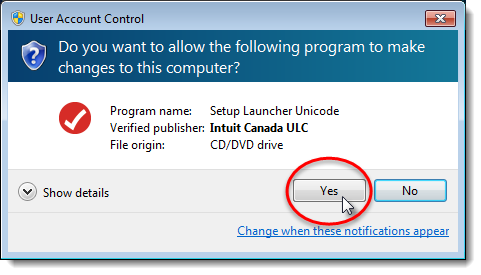 On the Choose Activation Method page, click Next. The Activation Successful page appears. On the Activation Successful page, click Finish. Enable all antivirus, firewall, and antispyware software that you disabled before installing TurboTax. 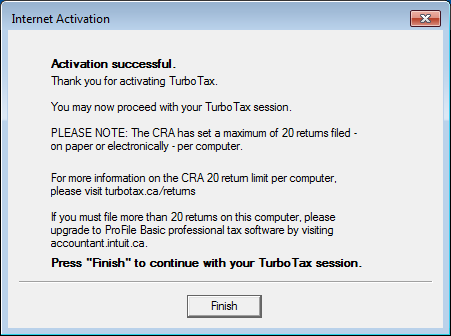 I'm having problems installing TurboTax from a CD. What can I do?